Nov. 8, 2016 – San Diego, CA — Federal lawsuits involving a popular, yet controversial diabetes medication will go before the Judicial Panel on Multidistrict Litigation next month for consolidation consideration. The Panel is set to meet Dec. 1 in Charlotte, N.C., where it will decide whether or not to consolidate cases involving the diabetes drug Invokana into a multidistrict litigation, or MDL. Plaintiffs in 29 lawsuits pending in various district courts are calling on the Panel to consolidate theirs and other federal cases for pretrial proceedings. If the Panel approves their request, it could affect the nearly 90 cases already filed, as well as any other future case filed in federal court. Plaintiffs are asking the cases be consolidated in the District of New Jersey, the drug maker’s home state and where 37 cases are currently pending. All of the lawsuits filed against Invokana’s U.S. manufacturer, Johnson & Johnson subsidiary Janssen Pharmaceuticals, allege the company failed to adequately warn about the drug’s potential risks. Invokana is a novel drug designed to treat type II diabetes along with diet and exercise. It was approved by the Food and Drug Administration merely three years ago but has been plagued by controversy ever since. 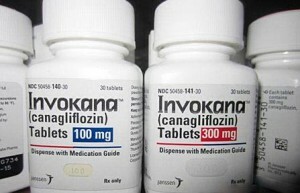 At the heart of the dozens of lawsuits are plaintiffs who say they suffered serious complications as a result of taking Invokana, including kidney failure and a condition known as diabetic ketoacidosis. Diabetic ketoacidosis occurs when the body starts to break down fat as fuel instead of sugar, causing a buildup of acids in the blood. Diabetic ketoacidosis is a serious complication, but is usually associated with type I diabetes. The condition can lead to kidney failure and death if left untreated. The FDA warned about the risk of ketoacidosis in 2015, two years after the drug’s initial approval, after reviewing a number of adverse event reports submitted by patients and their doctors. Despite the FDA’s 2015 safety communication and an update to the Invokana label, the drug is still on the market and does not carry a black box warning – the FDA’s strongest warning about a drug or medical device. Should the Judicial Panel agree to consolidate the dozens of lawsuits against Janssen and its diabetes drug, people who suffered harm from Invokana could be one stop closer to getting the justice they deserve. MDLs help make the litigation process more efficient by bringing all similar lawsuits under one roof for pretrial proceedings, including discovery. Bellwether trials are often used in the MDL process, as well, and can help steer the litigation towards a global settlement. The Judicial Panel on Multidistrict Litigation will hear consolidation arguments from plaintiffs in other well-known litigation on Dec. 1, in addition to those in the Invokana suits. On the Panel’s agenda include plaintiffs suing Atrium Medical Inc. over its C-Qur mesh product. C-Qur is a used to repair hernias and utilizes an Omega 3 gel coating, the only one like it on the market. 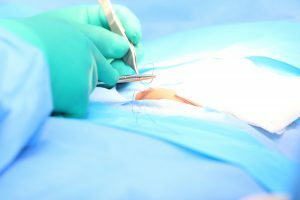 Plaintiffs allege the novel coating incites an inflammatory response that leads to adhesions, mesh and tissue erosion, and other complications. The request to consolidate these cases came from plaintiff Nicole Young, who filed her C-Qur lawsuit in New Hampshire district court in May 2016. Six other plaintiffs with lawsuits pending in the state joined Young in her request to bring all federally filed suits to the District of New Hampshire. Atrium Medical operates two facilities in New Hampshire. Plaintiffs argue no other district court has “as substantial of a relationship to Atrium or the product in issue” as the District of New Hampshire, according to Young’s memorandum. There was a total of 12 actions pending in federal courts throughout the country when Young filed her MDL request on Oct. 10. Should the Panel choose to consolidate these cases, it could affect lawsuits filed in federal courts in the future. If you’ve been injured by Invokana or Atrium Medical’s C-Qur Mesh, now is the time to file a lawsuit. The experienced attorneys at Hood National Law Group have been defending consumers just like you against the pharmaceutical industry for years and can help you fight for the justice you deserve. Call Hood National Law Group today to speak with a member of our legal team and see if your case qualifies for an Invokana Lawsuit or an Atrium Medical C-Qur Hernia Mesh Lawsuit. 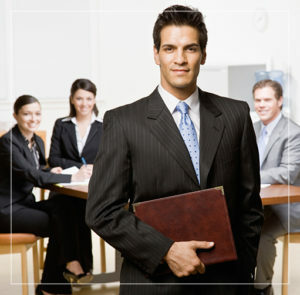 The consultation is free and there is no obligation. Call 1-800-214-1010 or use the form on the right-hand side of your screen.